Well established sales and letting agents, Lancastrian Estates, have opened up in Preston. Heading up the project are Howard Roberts and John Fisher, who have over 50 years property experience locally, combining their experience with that of Lancastrian Estates and its modern approach to selling and letting property – home moving, made better. Arrange your valuation with Howard today! We all know that age old adage that moving home is the second most stressful thing one can do in life. Well, the vision for this agency is for the experience to be designed completely around the customer. A property agency like no other, offering an authentic service, from real people, which will radically improve how people move home. This is a whole new, fresh perspective on sales and lettings, enabling customers to have a stress free approach to moving. The service will always be on a one to one basis, with the journey beginning with your local expert arranging an appointment, at your home, at the time that best suits you. Lancastrian Estates invest in people, not premises, so the customer is always supported and is in constant contact with their agent. Lancastrian Estates aims to maximise the exposure of their clients properties with all digital portals covered and a unique digital view on their own platform. They work on getting a home ‘quick sale’ ready. All this leads up to selling/letting their client’s property for more, and faster, which is essentially what every client selling or renting a home wants! Howard is really excited to be embarking on this new journey, and with over 22 years under his belt of local estate agency experience, we (and you!) couldn’t be in safer hands. He’s worked in corporate and independent agencies, covering rural and urban areas, all across the North West, and has managed agencies in Preston, South Ribble, Liverpool, Blackpool and Bolton. Away from the office, Howard is a devoted family man, who loves nothing more than spending time with his wife and son. He loves his sport too and manages a local youth football team and gets involved in various charity and fundraising events whenever he can. Like Howard, John too is raring to go on this new adventure, returning to the estate agency arena where he has over 34 years experience. John’s career began in the mid 80’s with Johnson Kelly and Nationwide; and he held senior management positions in Bairstow Eves and Entwistle Green. A prominent property professional, John is well connected in the North West business community. John is a keen supporter of Preston Grasshoppers, and enjoys wine tasting in the Languedoc region of France. All customers who sell or let through Lancastrian Estates will get a unique digital view and a premium sales pack. As part of the launch of the new branch the first 15 new customers will get 50% of the agency selling fees. You can also visit the website (www.lancastrianestates.co.uk) and if you run a free Instant Property Valuation before the end of October, you will be entered into a prize draw to win an iPad! (PR postcodes only). 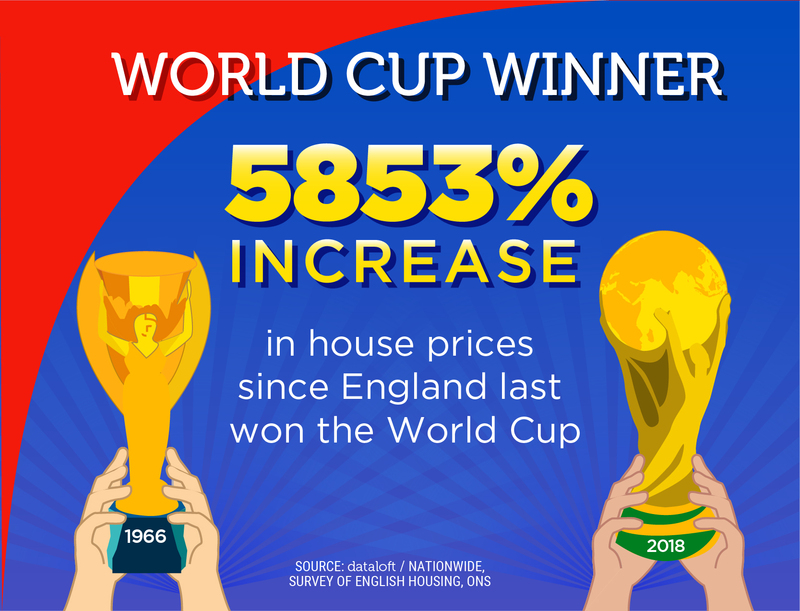 With the FIFA World Cup kicking off today, we have been reflecting on the last time that England was victorious and how much the housing market has changed since then. Well... we've only gone and won it again!!! British Property Award for best Estate Agent in Kendal 2017 AND 2018! We want to make the buying, selling, letting or renting experience as easy and enjoyable as possible for all of our clients and our high standard of customer service goes a long way to make that happen. For the first time in more than ten years, the Bank of England have raised interest rates. But, there is no need to panic, the new rate of 0.5% still remains the second lowest rate on record. While a number of banks and building societies have already announced that they will pass on the rate increase to borrowers, the impact of a rise will be minimal. UK Finance report that over the last two years, over 90% of new mortgage and remortgage loans have been on fixed rate deals. Over half of all outstanding mortgage loans are now on fixed rate deals. For the 5 million borrowers on variable rate mortgages, some increase in their monthly mortgage is to be expected. The Nationwide estimate that the 0.25% rise will increase the monthly mortgage bill for homeowners with a £175,000 mortgage on their base mortgage rate deal by £22. However, the introduction of the Mortgage Market Review in 2014 means that borrowers are more prepared for a rise than they might have been in the past. 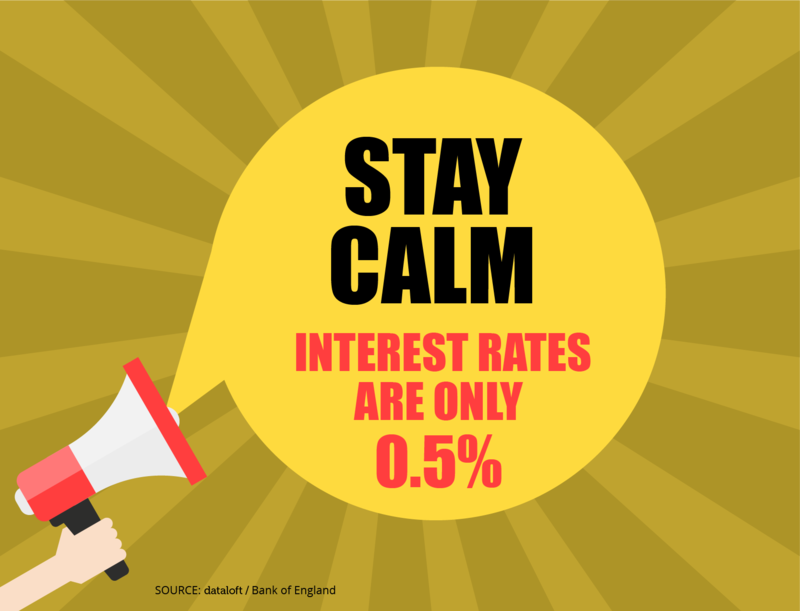 UK Finance estimate that, of mortgages lent since 2015, 92% were stress tested for an interest rate of at least 3% above their current rate. 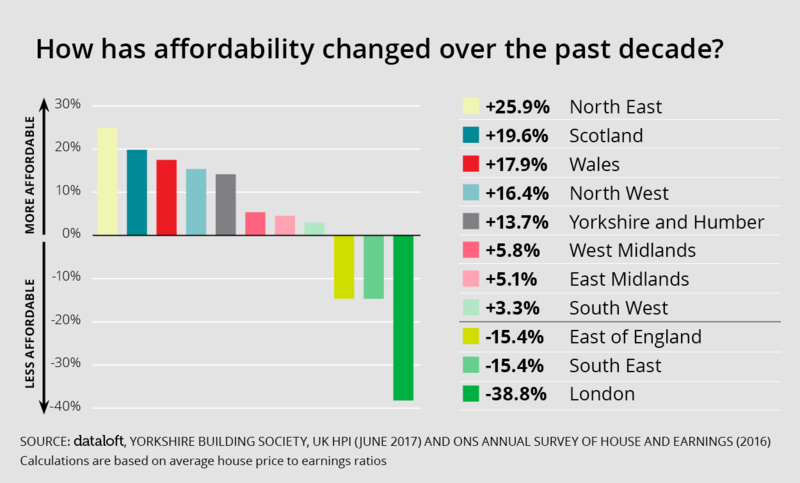 Homes across more than half of the UK are more affordable now than before the financial crisis according to new research by the Yorkshire Building Society who analysed changes in local house prices and earnings since 2007. With the communities secretary announcing a new methodology for new build development based on household projections and affordability criteria, local authorities with high affordability ratios could be expected to build up to 40% more than their current targets.